In this part of the blog series, we will now see how to create a simple custom business object step-by-step. We will start from where we left on part 2 of this blog series. If you have directly landed on this blog, please look at the part 1 and part 2 of this series. Please note that you should have the pre-requisites already in place as discussed in the part 1 of this blog series. Log on to you SAP S/4HANA Cloud system. Once logged in you will arrive at your home page (Fiori Launchpad). Look for the tile ‘Custom Business Objects’. Normally, it should be under the group Extensibility. Click on the tile and you would arrive inside the application. Inside, you would notice two tabs – Custom Business Objects and Custom Code Lists. Once you click on new, provide the name of the custom business object. Note that, other fields – Identifier and Name in Plural will be filled automatically. If you want to change them, you can still do that. Provide the name and click on Create. Once inside, you have now the choice to choose different options provided by the system and you can choose the relevant checkbox accordingly. Remember we have already discussed about these in part 1 of this blog series. For this blog, we will select all the options. 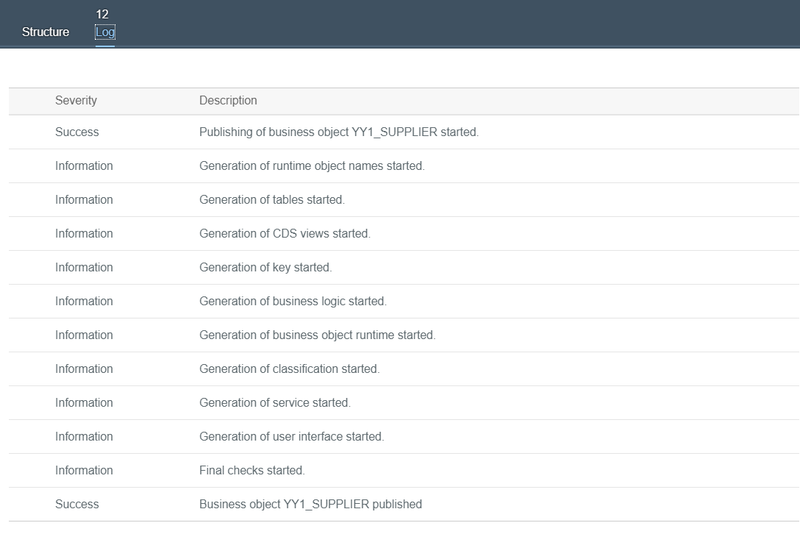 Next, scroll down a bit to the section – Structure and this is time when we would create the fields for parent node – Supplier. Click on the link – Go to Fields and Logic. Once you click on the link, you will arrive inside the Edit Node editor. You would notice that, by default system has created some fields like – SAP_Description, SAP_CreatedDateTime, SAP_CreatedByUser and SAP_LastChangedByUser. These are created by system on its own and cannot be deleted. These fields will come only if you have chosen the two check boxes – Can be Associated and System Administrative Data. Click on the new button to create new fields for the node – Supplier. Enter the details of the new fields one by one. Next, we have two more tabs – Actions and Determination and Validation. We will cover this in a different blog. Next click on back button to go back to the edit node screen. Here we will now add a new sun-node Role. Click on New to create new fields. Create the new fields one by one. Supplier Role – Remember this field type is code list that we created in part 2 of this blog series. We will use the same as we want to provide fixed values as F4 to the user for this field. Next, we have, Action Tab and Determination and Validation tab that will be covered in a separate blog. Click on back button to go back to the edit node screen. Once you are back in the Edit Custom Business Object screen, click on Publish button to publish and activate the new custom business object. At this moment, it will go through certain changes and the system will create certain artifacts in the background which you can see by switching on to the Log tab. List of artifacts created in the background by the system. Once published, the text Published in green will appear. As you notice from log, the system created the CDS views, OData and other artifacts automatically in the backend. 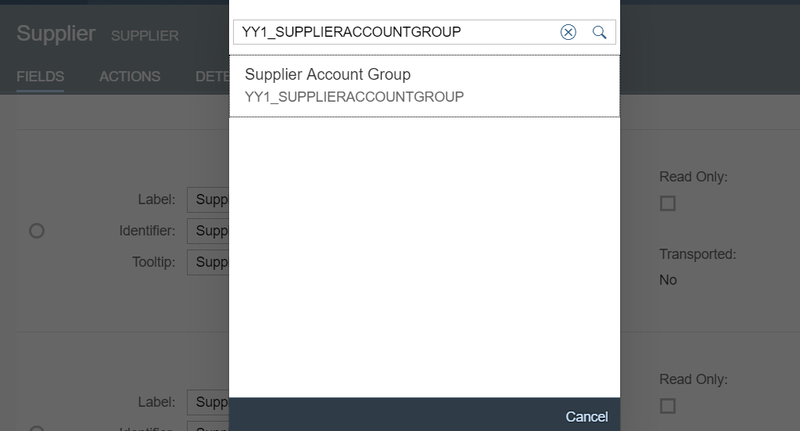 This completes the steps on how to create a new custom business object in SAP S/4HANA Cloud system. In the next blog, we will see how maintain the entries for this custom business object by using the generated UI. We will also create a new tile for this application and host it in the users Fiori Launchpad. Congratulations you have successfully created a new custom business object in SAP S/4HAHA Cloud!